Thai Travel Clinic is a special clinic in Hospital for Tropical Diseases, Bangkok, Thailand. Our hospital has operated since 1961 and it is under the administration of Faculty of Tropical Medicine, Mahidol University. We specialize in Tropical Medicine and Travel Medicine. Our hospital has a human resource complement of 31 medical doctors, 83 nurses and 81 nurse assistants. It has a 250-bed capacity and is equipped with modern facilities. Each year, our hospital is able to provide medical service to more than 30,000 OPD visits and more than 2,000 in-patients. Over the last few decades, number of travellers to Thailand has dramatically increased. 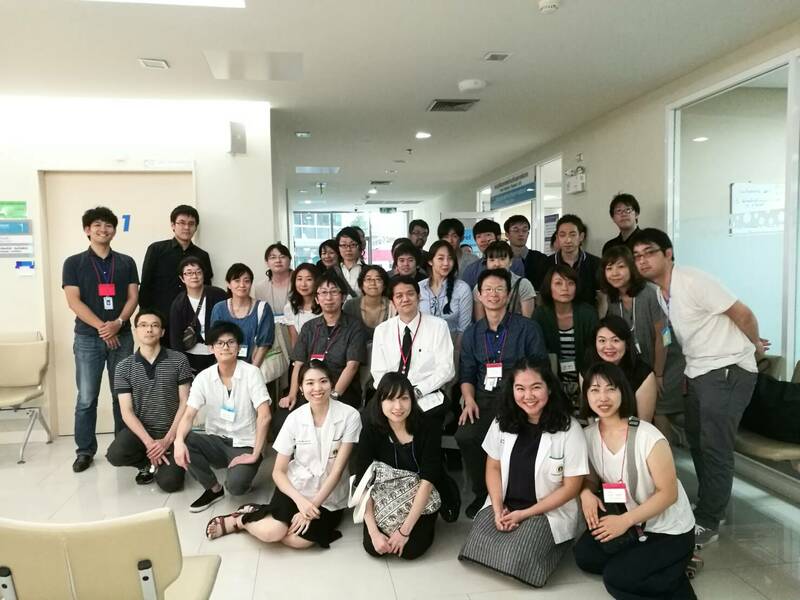 Many Thai and International travellers visit our hospital for consultation about travel-related diseases especially in the preventive and diagnostic issues. The number of our client is increasing every year. Therefore, we have re-organized and set up our special clinic for Traveller since 2004. It is called, “Thai Travel Clinic” of Hospital for Tropical Diseases. Nowadays we provide comprehensive services in area of travel/tropical medicine including pre and post travel counseling, immunization, prevention of malaria and information on emerging diseases. Because we link closely with the hospital for tropical diseases, we can provide the comprehensive medical care both in-patient, and outpatient basis. Moreover, since we are under the Faculty of Tropical medicine, Mahidol university, we also play major roles in education and research. Our staffs are invited as lecturers in various courses including DTM&H, MCTM, Ph D. (Trop Med). We have collaborated with many academic institutes in the world. We are also the member of GeoSentinel Surveillance Network which is the largest network of travel/tropical medicine clinics all around the world. Each year we are pleased to welcome many medical students, residents, doctors and professors from many countries. We also have research activities under the administration of Travel Medicine Research Unit. International Society of Travel Medicine (www.istm.org). The list of Global Travel Medicine Clinic is here. American Society of Tropical Medicine and Hygiene (www.astmh.org). The ASTMH provides the list of the physicians that offer consultative service in Tropical Medicine and Travel Medicine. The list is here. Our Clinic is the certified Yellow Fever Vaccine administration center. We could give yellow fever vaccine as well as Yellow Fever certificate for international travelers.